BMW launches first sedan iPerformance plug-in hybrid model with 330e. Plug-in hybrid powertrain sets the benchmark for mainstream sustainable performance, efficiency and value. 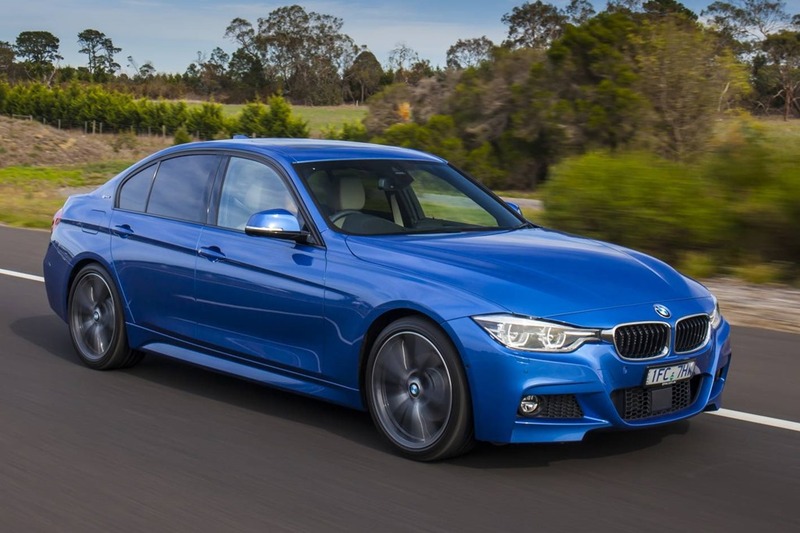 BMW 330e priced from $71,900 – a nominal $2,000 premium over petrol BMW 330i. BMW 330e utilises technology developed by BMW i for the groundbreaking BMW i8 sports car. Combination of four-cylinder 2.0-litre BMW TwinPower Turbo petrol engine and electric motor delivers low emission, fuel-efficient motoring while retaining trademark BMW performance. Hybrid powertrain drives the rear wheels through a standard eight-speed automatic transmission. Powertrain generates maximum power of 185kW and peak torque of 420Nm, enabling 0-100km/h sprint in 6.1 seconds and combined fuel consumption of 2.1L/100km. 330e capable of zero emission electric-only power for short urban trips of up to 37km, based on European testing. Advanced high-voltage 7.6kWh (5.7kWh useable) lithium-ion battery powers the electric motor and can be recharged from a standard domestic power outlet, through the fast, efficient BMW i Wallbox or at public charging stations. Intelligent powertrain control offers three hybrid settings and Driving Experience Control houses up to four modes to deliver optimum efficiency and performance tailored to driver preferences. BMW 330e delivers iconic 3 Series style, performance, comfort, dynamic driving characteristics, and premium interior finish and features. High level of standard equipment includes LED lights, 19-inch light alloy wheels, dual-zone climate control, keyless Comfort Access System, cruise control, electric seats, Dakota leather upholstery, six airbags, DSC, Rear View Camera, and Navigation system Professional. eDrive specific features for BMW ConnectedDrive, Navigation system Professional and BMW Remote app incorporating eDrive Services. BMW Australia has launched the all-new BMW 330e, furthering its commitment to provide sustainable and efficient alternative vehicles that maintain traditional BMW performance, style and driving enjoyment. The BMW 330e and the recently launched X5 xDrive40e are the first BMW plug-in hybrid iPerformance models to go on sale in Australia and offer exceptionally fuel efficient, low emission alternatives within the iconic 3 Series and X5 ranges. Utilising advanced technology developed under the auspices of the company’s innovative BMW i brand, the hybrid powertrain in the 330e delivers a combined test fuel consumption of just 2.1L/100km and CO2 emissions of 49g/km. At the same time, this advanced drivetrain is able to power the BMW 330e from 0-100km/h in 6.1 seconds. Top speed is 225km/h. Chief Executive Officer of BMW Group Australia, Marc Werner, said the all-new BMW 330e offered customers a highly efficient and sustainable alternative that still delivered the outstanding style, sports performance and dynamic driving pleasure that the 3 Series is renowned for. “The addition of the new plug-in hybrid iPerformance BMW 330e to the 3 Series range proves that BMW trademark performance and driving enjoyment need not be sacrificed in the pursuit of sustainable and highly efficient motoring,” Mr Werner said. Sharing the same sharper styling, high level of standard features and premium interior ambience as the recently-updated 3 Series models, the new 330e pairs a 135kW/290Nm BMW TwinPower Turbo 2.0-litre four-cylinder engine with a 65kW/250Nm synchronous electric motor to power the rear wheels. The electric motor is fitted between the petrol engine and standard eight-speed automatic transmission endowing the combined powertrain with a maximum power output of 185kW and peak torque of 420Nm – the same peak power and an additional 70Nm of torque compared to the petrol BMW 330i. The 330e can also operate on electric power alone with zero emissions, a range of 37km (as tested under the EU test cycle) and the intelligent hybrid powertrain control offering three modes of operation depending on driver requirements. With the powertrain mounted over the front axle and advanced 7.6kWh (5.7kWh net usable) high-voltage lithium-ion battery that supplies energy for the electric motor located under the boot, the 330e has a near perfect 48/52 (F/R) weight distribution to ensure it continues to deliver agile driving dynamics. Kerb weight increases by 165kg to 1,660kg due to the addition of the battery pack and associated hardware. In addition to three modes of engine management, the 330e also features BMW’s Driving Experience Control that offers up to four modes of operation – COMFORT, SPORT, SPORT+ (available with Sport Line and M Sport Package) and ECO PRO – to further tailor the powertrain, transmission and steering to personal preferences. Visually, the BMW 330e maintains the dynamic flair that is a trademark of all 3 Series models, incorporating standard LED lights and large 19-inch light alloy wheels. The model is defined by its charging socket located in the left front wing, 330e badging and ‘eDrive’ logo on the bootlid and door sills. Inside, the 330e is offered in Sport Line, Luxury Line or M Sport trim packages and features a high level of standard equipment for comfort, convenience and safety, together with BMW ConnectedDrive Services. Dual-zone climate control – with cabin preconditioning available thanks to the auxiliary heating/cooling unit – keyless Comfort Access System, cruise control with braking function, interior LED ambient lights package, Rain Sensor automatic windscreen wipers and lights, electric seats, Dakota leather upholstery and multifunction steering wheel with gearshift paddles are all standard. Providing optimum safety and driver assistance are six airbags, Dynamic Stability Control, Acoustic Protection for pedestrians, Driving Assistant, Rear View Camera with Surround View, Head-Up Display and front and rear Park Distance Control. The 330e also features a hybrid specific version of the BMW Remote app, eDrive Services, which allows checking the battery status and locating public charging stations, along with instrument cluster and control display information tailored to the hybrid drive. The lithium-ion battery that supplies energy for the electric motor comes with a six-year warranty and is able to be charged from empty from a standard domestic power socket in three hours and 15 minutes, via the high-speed and efficient BMW i Wallbox in two hours and 15 minutes, or through the growing number of public charging stations. As the second core BMW iPerformance model, joining the X5 xDrive40e, on sale in May 2016 in Australia, the 330e is powered by an advanced plug-in hybrid powertrain that benefits from the expertise of BMW i gained through the development of the BMW i8 sports car. The powertrain combines a four-cylinder BMW TwinPower Turbo petrol engine, a synchronous electric motor integrated with the eight-speed Steptronic automatic transmission and a high voltage lithium-ion battery pack to provide effortless rear-drive performance and supreme efficiency. Incorporating renowned BMW technologies including a TwinScroll turbocharger, High Precision Injection, VALVETRONIC variable valve timing and Double-VANOS variable camshaft control, the award-winning 2.0-litre four-cylinder petrol engine generates a maximum power of 135kW from 5000-6500rpm and peak torque of 290Nm between 1350rpm and 4250rpm. To provide a high level of sports performance, the 65kW electric motor contributes a permanent electric boost of 100Nm to supplement the torque from the petrol engine with up to 250Nm available for short periods to deliver outstanding acceleration from standstill or when a quick burst of speed is required. The arrangement of the synchronous electric motor in the drive system between the petrol engine and eight-speed automatic transmission allows all transmission ratios to be used even in electric-only mode. This helps reduce mechanical and thermal stresses placed on the motor by operating at sustained high revs ensuring greater durability of the system while also alleviating the need for a torque converter, thereby assisting with overall weight reduction. Providing energy for the electric motor, as well supplying power to the low-voltage battery for the 330e’s 12v electrical system, is a high-voltage 7.6kWh (5.7kWh net usable) lithium-ion battery pack housed underneath the boot floor. When working together through the advanced powertrain control system, the BMW TwinPower Turbo engine and electric motor produce a maximum system output of 185kW and 420Nm, enabling the 330e to cover 0-100km/h in 6.1 seconds before going on to a top speed of 225km/h. At the same time, it offers outstanding efficiency with a combined test fuel consumption figure of 2.1L/100km producing CO2 emissions of 49g/km. With a 41-litre stainless steel pressure petrol tank, the BMW 330e offers a realistic range of up to 600km in everyday driving conditions. Power delivery in the BMW 330e is managed by an intelligent powertrain control system that offers three modes of operation selected via the eDrive button on the centre console to deliver optimal efficiency and performance according to road conditions and driving style. The default AUTO eDrive is automatically activated when the vehicle is started and allows the petrol engine and electric motor to work in tandem for optimal efficiency. During normal acceleration, the vehicle starts off under electric power, up to a pure-electric top speed of 80km/h – with the petrol engine cutting in when the intelligent management system automatically determines a need for more power. MAX eDrive is the purely electric mode with the car operating only on power from the electric motor for urban zero emission journeys of up to 37km with a limited top speed of 120km/h. The petrol engine will cut in if the accelerator pedal is pushed beyond its kickdown position when more power is needed such as during overtaking manoeuvres. For selective use of the vehicle’s electric power, the SAVE Battery mode allows the driver to save or regenerate the battery’s energy level to be deployed when needed. This mode has two settings and if the battery charge is less than 50 per cent, it will be recharged with power from the petrol engine up to 50 per cent. If the battery charge is over 50 per cent, it will be ‘frozen’ at that level and can be used later for electric-only mode when travelling through towns, for example. The petrol engine will also be engaged whenever the transmission is moved into manual mode, regardless of the drive mode selected, allowing the battery to be recharged up to 80 per cent while on the road. The BMW 3 Series has long been renowned as a sports sedan with a superb balance of agile handling and sublime ride comfort. And with the BMW 330e sharing the same lightweight aluminium front double-joint strut and rear five-link suspension and Servotronic Electric Power Steering (EPS) as its siblings, it maintains those hallmark dynamic driving characteristics. In addition to the three powertrain control modes, the BMW 330e is fitted with the Driving Experience Control found on all BMW 3 Series models that offers a choice of COMFORT, SPORT, SPORT+ (available with Sport Line and M Sport Package) and ECO PRO modes to further tailor the driving enjoyment. As well as automatically adjusting throttle and automatic transmission response and steering characteristics, the Driving Experience Control in the 330e also allows changes to the operating strategy of the hybrid drive system to provide either top-end performance, efficient cruising comfort or maximum electric efficiency and energy regeneration. In SPORT mode, for example, both the electric motor and petrol engine are permanently engaged to provide full system output and exhilarating performance while the ECO PRO mode optimises use of the electrical energy for the greatest overall efficiency. To further enhance the sustainability of the 330e, the ECO PRO mode also optimises energy consumption for features including the dual-zone automatic climate control and seat and mirror heating. The 330e also incorporates standard Auto Start/Stop and Brake Energy Regeneration for even greater efficiency. In order to preserve the dynamic handling of the 330e, BMW has carefully balanced the drive system components with the engine, electric motor and transmission over the front axle and battery pack over the rear axle ensuring a near perfect 48/52 weight distribution. BMW ConnectedDrive offers a combination of driver assistance, safety, communication and convenience technologies and in the new BMW 330e, these have been tailored to complement the hybrid drive system and further improve efficiency and sustainability. The Navigation system Professional adds the location of public charging stations to its points of interest on the navigation map whenever guidance is activated. Another ConnectedDrive feature unique to the plug-in hybrid models is eDrive Services that can be accessed through the iDrive Controller or carried out remotely on a smartphone through the BMW Remote app available for iOS and Android operating systems. As well as the standard BMW Remote app functions such as remote locking/unlocking, headlight flash, vehicle finder and Google local search and send-to-car function, the system offers additional hybrid-specific functions. These include search and display of public charging stations, battery charge and vehicle range status, charge timer settings, efficiency evaluations of journeys travelled, distances driven on electric power and fuel saved, and climate control pre-conditioning. This latter feature uses the car’s auxiliary electrically-operated heating and cooling systems to pre-heat or cool the cabin of the BMW 330e using either power from the battery or the electrical mains, when it is plugged in for recharging. The pre-conditioning of the cabin can also be activated via a button on the car key fob or using the two-week timer setting accessed through the iDrive system in the 330e. Recharging the battery in the BMW 330e simply requires plugging one end of the supplied cable into a domestic power outlet and the other into the socket beneath the flap in the front left wing. The charging socket on the car features an illuminated ring that flashes blue while charging before turning a solid green when the process is completed with the battery able to be fully charged from empty in three hours and 15 minutes. For faster and more efficient charging, under the BMW 360° Electric concept, BMW also offers fast charging units that can be installed at the home. The BMW i Wallbox Pure enables the 330e’s battery to be fully charged in about two hours and 15 minutes and provides a graphic display of the charging progress in the vehicle’s instrument cluster or via the BMW Remote app. Through BMW’s partnership with ChargePoint, the 330e can also be charged at public charging facilities using the ChargeNow card for cashless payments. BMW ConnectedDrive also provides a range of driver assistance and safety systems with the BMW 330e featuring cruise control with braking function, Rear View Camera with Surround View, BMW Head-Up Display, front and rear Park Distance Control, Lane Change Warning System, and the camera-based Driving Assistant. The Driving Assistant is a comprehensive package that incorporates Lane Departure Warning and Collision and Pedestrian warnings with Light City Braking Function. For pedestrian safety, the 330e also features Acoustic Protection that delivers a discreet drive sound when operating on electric power only at speeds of up to 30kmh to alert pedestrians of the vehicle’s presence. With its built-in SIM card, the 330e’s ConnectedDrive Lifestyle package also provides access to internet services; automated transmission of any service related data to the customer’s preferred BMW dealer through BMW TeleServices including ongoing monitoring of the battery; and any breakdown calls to Roadside Assistance. For absolute safety and peace of mind, the system includes an Intelligent Emergency Call function that in the event of an accident, automatically transmits vehicle location, accident severity and initiates a phone call for assistance to the BMW ConnectedDrive Call Centre to ensure rapid and effective response. The BMW ConnectedDrive Lifestyle package also includes the full suite of BMW Online Services and Apps, Real Time Traffic Information and Remote Services. Like all BMW 3 Series models, the 330e offers a sporty elegant aesthetic that perfectly reflects its luxury, comfort and driver appeal. The exterior design combines a sharp front end dominated by the wide trademark kidney grille neatly integrated with the LED headlights, big 19-inch alloy Double Spoke wheels fitted with low profile 225/40 front and 255/35 rear tyres, and at the rear, L-shaped LED tail lights and dual exhaust pipes to emphasise the car’s broad road hugging stance. Exclusive design touches on the model’s exterior clearly identify the BMW 330e’s unique hybrid capabilities include the charging socket located in the left front wing and an “eDrive” logo on the tailgate, engine cover and doorsill strips. Inside, the 330e maintains the comfort, luxurious ambience and high quality fit and finish of its siblings and is available in a choice of Luxury Line, Sport Line or M Sport trim. With its trademark driver-oriented cockpit, all controls and iDrive functions – including a number of hybrid-specific functions – fall easily to hand with all information displayed on a large 8.8-inch colour screen. The hybrid-specific functions include providing information such as the eDrive mode selected, electric and total range, fuel or electricity consumption, progress of battery charging, Brake Energy Regeneration levels and real-time energy flow between the petrol engine and electric motor. As a premium sports sedan, the 330e features a high level of equipment to deliver sublime comfort and practical convenience. Standard features include Dakota leather upholstery, dual-zone climate control, multifunction steering wheel with gearshift paddles, Navigation system Professional, electric front seats, keyless Comfort Access, LED ambient Lights Package, and Rain Sensor automatic windscreen wipers and lights. Superb entertainment is provided by the six-speaker Stereo Loudspeaker audio system with DAB+ digital radio tuner, and USB and auxiliary inputs while the extended Bluetooth functionality for audio streaming and hands-free phone operation enables complete smartphone connectivity. The 330e also maintains BMW’s high levels of safety incorporating six airbags, Dynamic Stability Control featuring Anti-lock Braking System, Brake Assist, Cornering Brake Control and Dynamic Traction Control, and Dynamic Braking Lights. In addition to the comfortable seating for five occupants, the 330e offers plenty of storage space and a standard 40/20/40-split rear seat back to enable expansion of the boot space. With the battery located beneath the boot, luggage capacity has been reduced compared to other 3 Series models but it still offers a generous 370-litre capacity with its level floor enabling full use of the load through facility. In addition to the fuel cost savings offered by the plug-in hybrid drivetrain, BMW also aims to help reduce maintenance costs for the 330e with all maintenance requirements controlled by the Condition Based Servicing (CBS) system. The Epic Range Rover Sport: A Mountain in a world of Hills.